Emily Martin Communications & Events is a marketing, communications and San Francisco Event Planning firm specializing in digital marketing, branding, social media services, luxury event planning, and influencer marketing. Based in San Francisco, our clientele is diversified from the East to West Coast with the unified goal of creating your very best brand. With a true love of food and wine and a commitment to pursuing mastery, Emily has a distinctive voice and palate that sets her apart. 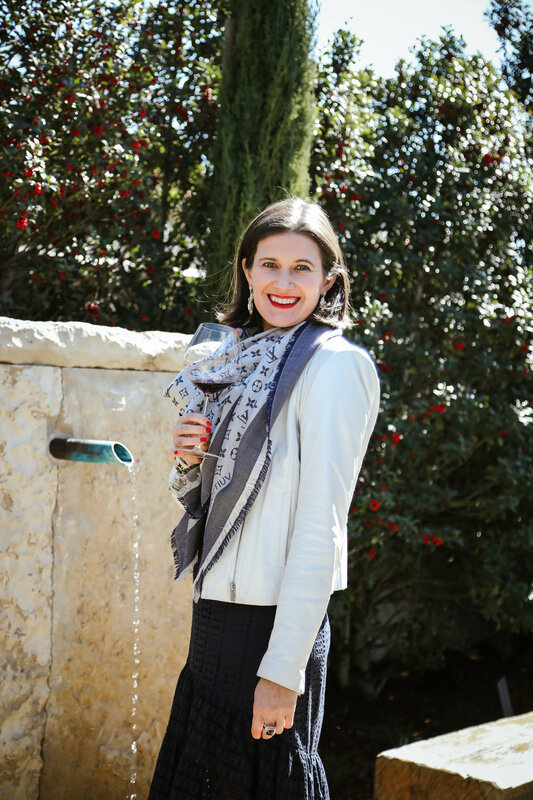 Since 2009, she has curated the Lifestyle blog, The JetSetting Fashionista, where she writes about restaurants and wineries in the Bay Area and around the world, and interviews some of the industry’s most talented chefs and winemakers. Fueled by curiosity and a passion for learning, Emily’s hunger to explore the ever-expanding food, wine, and hospitality industry never wanes and she loves partnering with clients on Bay Area Luxury Events and Digital Marketing & Social Media Services. Emily’s career began in retail with her first job at The Gap. As a longtime lover of fashion and travel, she spent a semester studying abroad in London followed by a summer working in the Barney’s New York buying office. After falling in love with fashion and the big city, Emily moved to New York City to begin what would become a 13-year career in Luxury Retail. She held positions at Bloomingdale’s, Tiffany & Co., Louis Vuitton, and concluded her retail tenure at Gap Inc. in San Francisco. During this time she obtained an MBA in Finance and with an Entrepreneurial Minor from Fordham University. In 2014 Emily decided to pursue her passion for food, wine, events and hospitality—pivoting from the corporate world to start Emily Martin Communications & Events. She also relaunched The JetSetting Fashionista—providing a true tastemaker’s perspective on where to eat, drink and travel—and began writing for San Francisco digital publications including 7x7 and Racked SF. Discover Emily’s voice and complete writing portfolio here.